Does QuickBooks hosting on the cloud help your business accounting for better? 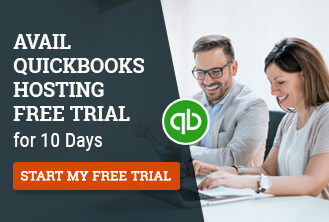 QuickBooks hosting gives your business the power and flexibility that QuickBooks on local system struggles to provide – anytime, anywhere access. In January 2018, we covered price comparison of some of the leading QuickBooks Hosting providers and what businesses should consider while choosing a cloud service provider to host their QuickBooks application and data. There are dozens of QuickBooks hosting service provider in the market with the similar offerings and are appealing for your dollar, but how are their results? How should you go about choosing the right QuickBooks hosting provider for your business? If you are in the market looking for a right QuickBooks hosting provider, you can find a resolute solution with this article. ➵ QuickBooks Hosting: What and Why? In this in-depth review post, we are going to explore the need for QuickBooks hosting and what you should consider in a cloud hosting provider while hosting your QuickBooks data and application. Gone are the days when you install QuickBooks on your local systems such as desktop or laptop and work alone on the software. Even individual accounting practitioner or ones who don’t need to work simultaneously with other users in real time, i.e. multi-user mode, are switching cloud to get rid of the dependency on a particular device. In this rapidly changing market, where there is always a need for collaboration, better productivity, 24×7 availability and mobile access to the data, having QuickBooks on the local system is no longer an option. Another main driving factor for choosing cloud over the desktop is hassles in installing, upgrading software and file transfer on the local system. For example, if you upgrade your computer that has QuickBooks installed, then you have also to think about QuickBooks files, data and dozens of other desktop application. But those who have signed up for QuickBooks hosting don’t have to think about those file transfer and software upgrades, which is done in the background under the supervision of hosting provider. What’s more, the cloud has made collaboration and sharing so smooth that the process of sending QuickBooks files or data back and forth on email is eliminated and all without any error or file corruption. This is ‘cloud’ age. You don’t need QuickBooks installed in the local system anymore. QuickBooks Hosting – What and Why? QuickBooks hosting is the hot thing in cloud accounting space. Unlink QuickBooks online, which is an entirely different version of QuickBooks accounting software from Intuit, QuickBooks Hosting is availability of QuickBooks Desktop (Pro, Premier, Accountant or Enterprise version) on the cloud server of an authorized hosting facility. Simply put, QuickBooks online is for small businesses who don’t require advanced features and functionality as in QuickBooks Pro, Premier or Enterprise version offers. QuickBooks hosting is a convenient option if you need the ability to work on QuickBooks data from any location. So, regardless of time zone, you can efficiently work on the same QuickBooks file with your client or employee, and yes, even if you are spending your holiday on a beach. QuickBooks opens and operates much faster in hosting environment than QuickBooks on the local system. You can also increase the number of users to work on your QB application without losing any performance. Just make sure, you have a good-quality and fast internet connection. What if your local system crash? Or you corrupt your QuickBooks file? QuickBooks hosting service has several redundancies in place along with regular and automated backup to ensure everything is working correctly. There might be some issues while using QuickBooks such as printer setup, email configuration, permission controls, etc. that can further complicate the accounting work. QuickBooks hosting provider takes care of all setup and maintenance work along with training and troubleshooting errors and issues that might come with QuickBooks in the cloud. To streamline your accounting work, add additional industry-specific functionality and increase efficiency, your business may require some 3rd-party add-ons such as billing app, inventory software, etc. that easily integrate with QuickBooks. Hosting environment allows easy integration with such application so that you have all features and functionality and automatic syncing and data sharing with applications. There is a risk with local QuickBooks setup that your data can be compromised if you don’t use security methods such as anti-virus, ant0-malware, password protection, firewalls, etc. On the other hand, QuickBooks on the cloud is very secure because it not only employs all these security methods such as anti-virus, firewall, password protection but it also has encryption security, access-control policies, and multiple-redundancies in place. When you decide to buy QuickBooks hosting services, it’s essential not only to see what hosting provider has to offer, but also to find out the real people who are using the services are satisfied with the host. With this analysis, you make an informed decision about choosing QuickBooks on cloud services. According to YouGov, 78 percent of consumers in the United States read online reviews before making a purchase decision. To evaluate a cloud provider’s services, check out the reviews and testimonials of existing clients that have been using their QuickBooks hosting services. This will help you understand whether the provider is effectively able to provide a better customer experience and cloud services to their clients. You can use sites such as Serchen, Google Business Listing, Facebook and testimonial page on the company website to know the rating and reviews for their services. One of the critical thing that one should consider while choosing cloud services is server uptime. It’s so important because it defines how quickly you can access your QuickBooks data and applications. The higher the uptime, the better the performance and availability. Simply put, if your QuickBooks servers are down, this can be catastrophic for your accounting firm, you will be unable to find, share or work on your QuickBooks data and application. So, choosing a hosting provider with high uptime is critical because it will guarantee that your server will never go down for more than a fraction of second. In other words, it means that if one server goes down, another one takes over so that you never experience the service outage. Among all, while pricing is not a single or most important factor but it’s one of the significant role players in deciding a hosting service provider. There might be several costs associated such as customer support cost, migration cost, add-ons charges, Intuit surcharge, etc. that you should always consider while signing the Service Level Agreements. Also, note that there is always a pricing difference between shared QuickBooks Hosting and dedicated QuickBooks hosting. Dedicated QuickBooks servers are the ideal solution for businesses who want maximum customization, control, and overall flexibility, but they are somewhat costly than the shared QuickBooks servers. Below is a brief QuickBooks Hosting pricing comparison of a few service providers that will help you choose the best one for your needs. Disclaimer: These prices are taken from the websites of respective providers as on 25th May 2018. Now, if you are ready for QuickBooks hosting services, then you’ll need to choose an appropriate hosting provider. Ace Cloud Hosting is a well-known name when it comes to accounting application hosting and tax software hosting for CPAs, accounting firms, and business owners. The company has partnered with the best data centers and IT infrastructure providers in the USA to provide best-in-class, superfast, and secure hosting services to its customers. Its customer service and feature-rich affordable packages are far ahead of those offered by other competitors in the market. Now, let’s see what benefits you get with QuickBooks Hosting from Ace Cloud Hosting which makes it a reliable hosting provider worthy of your consideration. Ace Cloud Hosting has a wide customer base serving thousands of CPAs, Bookkeepers, Accounting, Tax Professionals, small business as well as large enterprises. The company is based in Florida, USA. Since 2012, Ace Cloud Hosting has concentrated on providing application hosting services and has built up an impressive brand reputation. Today, it is a leading provider of application and tax software hosting in the accounting industry. 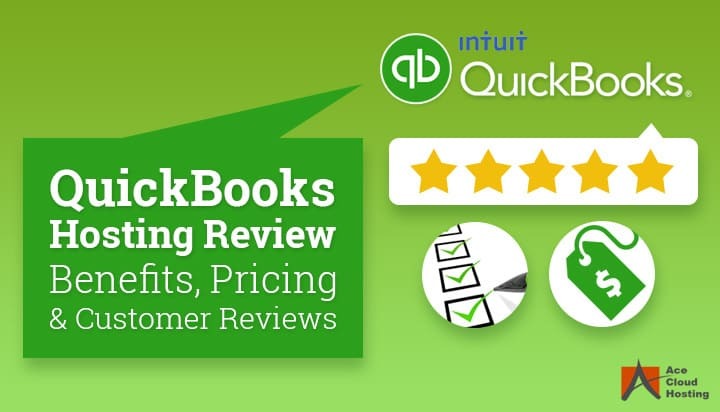 The best-in-class IT infrastructures, superfast services, and excellent customer support is what that made Ace Cloud Hosting #1 QuickBooks Hosting provider in the market. Customers are #1 priority for Ace Cloud Hosting. That’s why they are consistently ranking high on the customer satisfaction level. 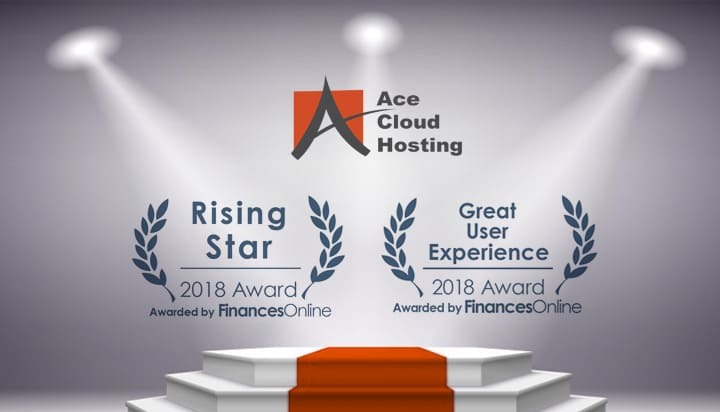 Accountex 2016 User favorite award, 2018 FinancesOnline award for Great Customer Experience and 200+ five star rating on Serchen prove that Ace Cloud Hosting is customer obsessed – they understand them and serve their needs. Customers love Ace Cloud Hosting because they are authentic, responsive, courteous, competent and agile. You can ask for a list of happy customers near you. Ace Cloud Hosting guarantees 99.999% server uptime. With advanced backup technology, redundancies at every level – SSD, servers, or data centers whereby if one server or data center fails, Ace Cloud Hosting will immediately and automatically replace it with a functional server without incurring any downtime. Your data is secured using several methods used parallelly. You are protected by anti-virus software, firewalls, Intrusion Prevention and Detection System, anti-phishing, anti-malware. You can also opt for multi-factor authentication so that you cannot be hacked because your password is stolen. Customer support is one of the critical differentiators for Ace Cloud Hosting. Customers love Ace Cloud Hosting because its responsive, courteous, competent and agile. Ace Cloud Hosting customer success team comprises of experts with more than ten years of experience in QuickBooks hosting and other cloud services. Its customer Support includes offering support 24/7 x 365 care on chat, email or phone by experts. 200+ five star rating reviews on independent customer review platform Serchen speaks for its customer success. Ace Cloud Hosting takes automatic and regular backups of your QuickBooks data and applications and maintains them for 100 days. What makes Ace Cloud Hosting as a preferred choice for QuickBooks Hosting service provider is their built-in business continuity and disaster recovery services. It means Ace Cloud Hosting have such technology and processes in place that consider various events such as cyber attack, human error or natural disaster and make sure that your business is always up and running even in case of any such unplanned events. Ace Cloud Hosting enables QuickBooks integration with apps and web services you use for your accounting and business work. From inventory, document storage, billing, CRM or time tracking applications, Ace Cloud Hosting helps you easily sync and share data with these software and extend the functionality of your QuickBooks software. Ace Cloud Hosting is a feature-rich and affordable hosting solution for all business sizes. It helps you do more with less – no matter the size or industry. You can quickly scale up or scale down your requirements anytime. No one wants to pay for something while they’re not using it, Ace Cloud Hosting understand this, and you only pay for what you use. With Ace Cloud Hosting you don’t have to worry about setup, maintenance, or software upgrades. If you are an accounting firm, your business will grow because your customers will be happy, you will get more referrals, and you will be spending less time on accounting work and more on business decision making. Last but not the least, If you’re ready to find a great QuickBooks hosting service, this in-depth review is a solid framework to determine which provider you will trust with your QuickBooks data and applications. So, What do you think? How would you rate QuickBooks Hosting service? Share your opinion below in the comment section.